Simon Lee and Perrotin have announced a radical and innovative collaboration for Art Basel 2017. 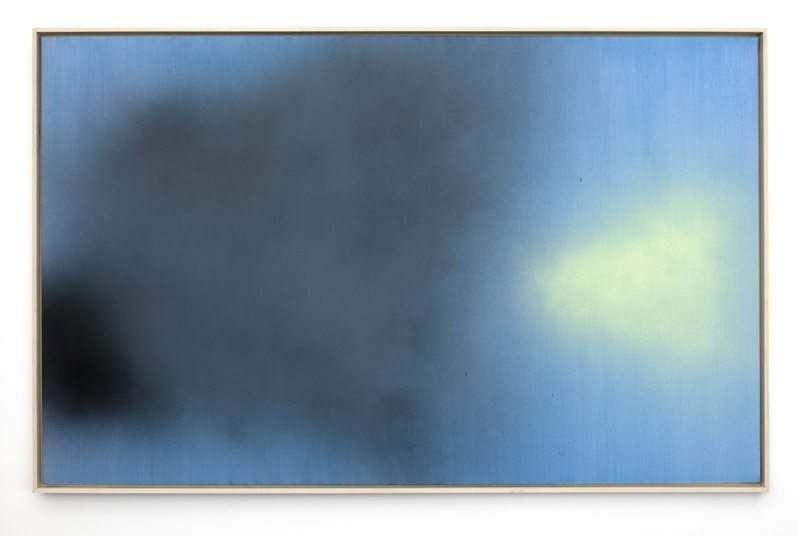 The two galleries will exploit their adjoining position at the fair and the unique architecture of their booths to create a shared space over two Floors dedicated to major works by Hans Hartung. This is the rst time the two galleries will make a joint presentation at the fair, and marks the beginning of a collaboration with the artist’s estate, which will see major exhibitions held at both Perrotin and Simon Lee in early 2018. ‘Our position to life changes because life itself is constantly changing. So that there is always something else to express, you’re always trying to go one step further. You enjoy painting as you enjoy life. You can’t stop’. Dating from the 1980s, the paintings that will be on view reveal the power, depth and complexity of the artist’s work during the later years of his life. Hartung’s control and masterful display of painterly effects have been remarkable throughout his career, however it was not until the last decade of his life that some of his freest and most experimental works were produced. Distinguished by the drastic shifts in technique, tools, scale and gesture, the three bodies of work shown in Basel are a testament to the artist’s rich and constant explorations during these later years. In the last decade of his life, Hartung expanded on the range of techniques he employed in his work by introducing new and unexpected tools into his practice. Beginning in 1979, the artist began to use branches from the olive trees surrounding his studio in lieu of a paint brush. Dipping the branches into vinyl paint, Hartung would whip his canvases with such intensity that they often had to be placed on wooden supports in order to prevent damage. Marking a new direction in the artist’s work, Hartung produced some of his most energetic and dynamic paintings during this time. Hartung continued to replace the big brushes he had been using with experimental tools and devices, including paint sprayers. By 1986, the artist introduced a new mechanism into his already extensive armory of implements known as a ‘sulfateuse’. 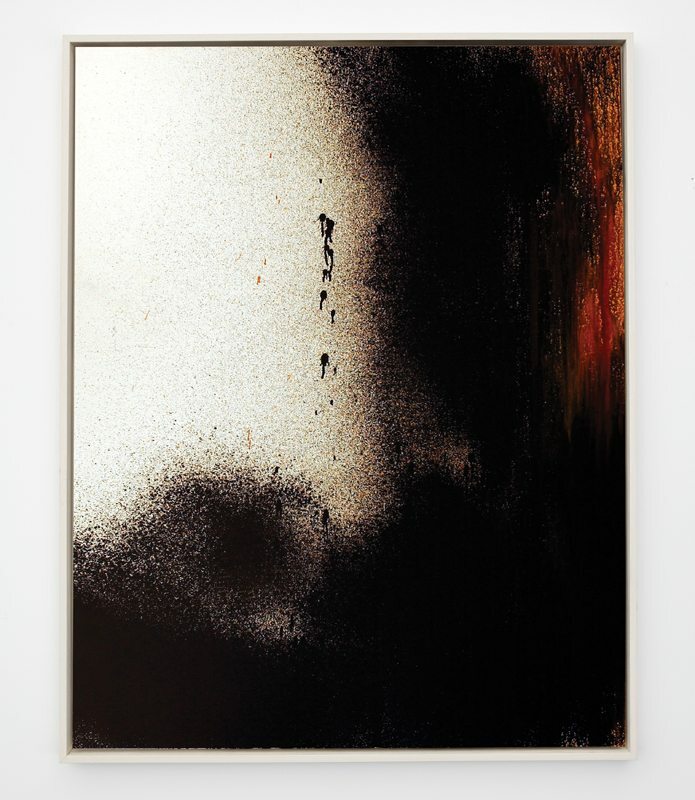 Hartung had been using spray paint in his work since the 1960s, however, this earlier method of air spray not only required lifting heavy canisters, but also left a clearly mechanical application of paint. The ‘sulfateuse’ consisted of a exible hose xed with an assortment of nozzles, allowing the artist to adjust the ow of the paint more freely. The canister could be left on the ground and all that had to be held was the light wand of the spraying rod. The artist, who had suffered two strokes that left him physically incapacitated, embraced the new tool which entitled him to project great sweeping lines of paint with a simple ick of a wrist, combining interlacing lines with sometimes textured patches of color with varying degrees of density. From 1986 to 1989, ne mists, thick ‘clouds’, paint runs and freely doodled lines became the formal language of the artist. Hans Hartung (born Leipzig 1904, died Antibes 1989) is one of the most acclaimed European painters of the 20th century. A solo exhibition of Hartung’s work has been organized by the Kunstmuseum Bonn in 2018. In 2016-2017, his work was the subject of a major solo show at the the Fonds Hélène & Édouard Leclerc pour la Culture in Landerneau, France, curated by Xavier Douroux. Selected group exhibitions include the Musée d’Art Moderne, Paris (2009), alongside Martin Kippenberger and Felix Gonzalez-Torres, and the Fondation Beyeler, Basel (2008) which featured Jackson Pollock, Eva Hesse and Robert Motherwell. His work is held in many prominent collections worldwide, including the Centre Georges Pompidou, Paris, France; the Hirshhorn Museum and Sculpture Garden, Washington D.C., USA; the Kunstmuseum, Basel, Switzerland; the Ludwig Museum, Cologne, Germany; the Metropolitan Museum of Art, New York, USA; the Musée d’Art Moderne de la Ville de Paris, Paris, France; the Museo Tamayo Arte Contemporaneo, Mexico City; the Museum of Modern Art, New York, USA; the Neue Nationalgalerie, Berlin, Germany; the Solomon R. Guggenheim Museum, New York, USA; the Tate Gallery, London, UK.